Quite a good deal if you asked me especially if you are Origins user and love going for facial (me love love love facial!!!) ! 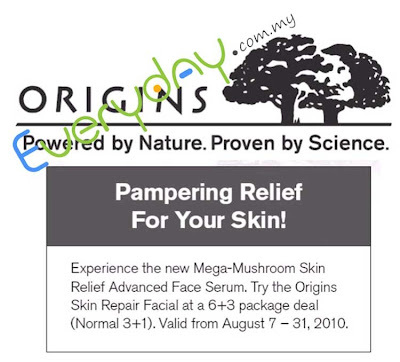 Remember its always best to buy facial during promotion because for the same service you get at a lower price.